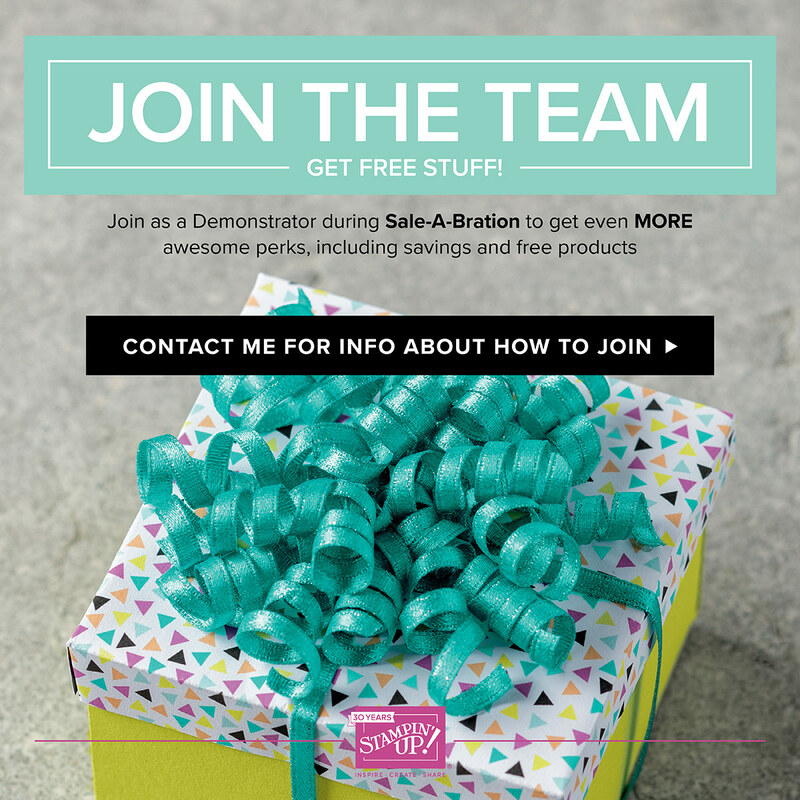 Have you thought about joining a team of crafters? To earn extra monies for things or to just get discounts on high quality crafting supplies for your own creativity? Or taking another direction in your career? Let me share the reason I joined. I joined to find others to share my craft with. Living in a small town coming from a large city where supplies were in abundance, crafting retreats and late night scraps were gone. I’ve been a customer of Stampin’ Up! for many years, but just for my own hobby. When I moved to T or C, NM, I started thinking about why not share what I love doing. Opportunity to meet new people and believe me did I ever. I literally have met people from all over the world that I have gotten to know online and then met at conferences. Yes I have to admit I love going to our OnStage conferences. Stampin’ Up! recognizes not everyone wants to start a business and that they would like to invite them to be involved as well to get insider tips on new items and trending projects. Well hold on because Stampin’ Up! is offering a wonderful opportunity this month! Not only can you get $125 worth of supplies in your starter kit for only $99, they are also offering for you to pick out two (2) extra stamp sets for free. You cannot beat that! One more kicker, the price of the stamp sets does not matter you can pick out the two most expensive ones to get for free.